As much as I love the new mirrorless cameras, there’s one use case where they come up lacking: sports. 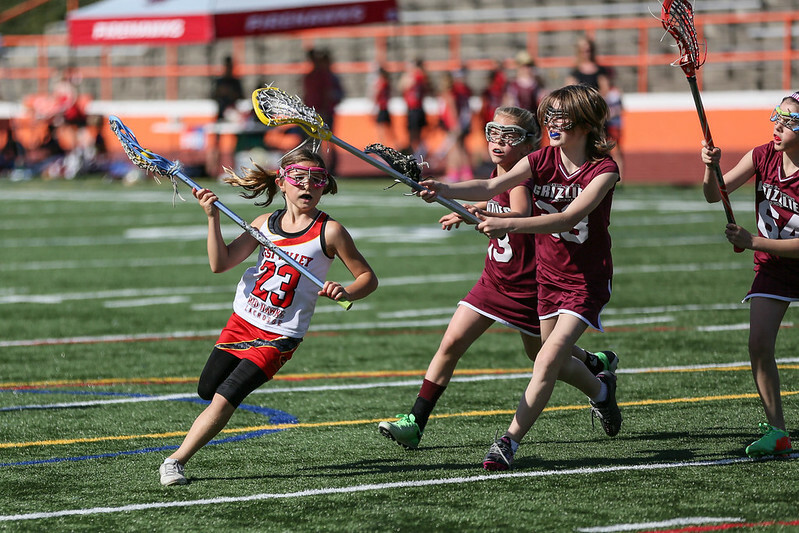 The autofocus systems in cameras like the Canon 5D Mark III, 7D, and 1D series make a huge difference to getting quality images in action sports like lacrosse and soccer. Not all DSLRs are up to the task. My 5D Mark II was crap at sticking focus on fast-moving players, while the 5D Mark III features a 61 point reticular autofocus system that works like a champ. I have no experience with recent Nikon DSLRs but I’m sure their recent high end cameras have badass autofocus like the fancy Canons. To be fair to mirrorless, I’ve seen some reasonable sports shots from the Fujifilm X-E2, and early reports of the X-T1 say its doing an even better job of continuous autofocus tracking (I plan to rent one to find out more). And while we’re being fair, a 5D Mark III and 70-200 f/2.8 IS will set you back about five large, while an X-E2 and 50-200 f/3.5-4.8 is around $1400 (prices as of early 2014, Amazon.com). Like most things in life, you get what you pay for. I want to see mirrorless close the gap with focus speed and tracking. Fuji and Olympus are moving quickly. The next few years in mirrorless will be fun to watch, but for now I’m lugging the big Canon to the games.